Comments: ALTERNATE EDITION: Instructor edition. your book ships within 24 hours of ordering. 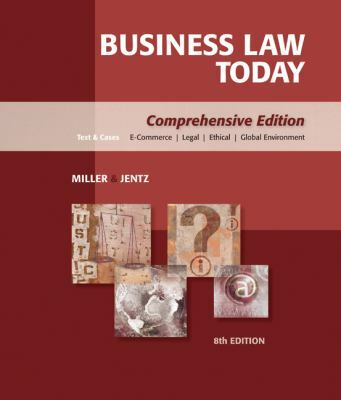 Miller, Roger LeRoy is the author of 'Business Law Today: Comprehensive', published 2009 under ISBN 9780324595741 and ISBN 0324595743.